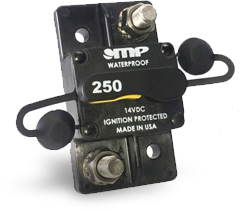 Electrical protection for under the hood or vehicle accessories, MP is the circuit breaker of choice for the Truck, Bus and RV Industry. Protection for RV Slide Outs, Truck Liftgates, Power Inverters, and Motorized Wheelchair Ramps are typical applications. 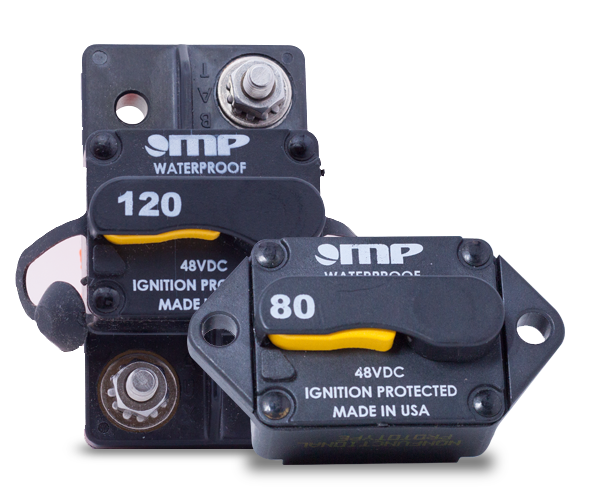 MP offers a wide selection of circuit breakers certified to SAE’s Surface Vehicle Standard J553 and Ignition Protection Standard J1171. Types 1 - 3 are offered from 3 – 300 amps. Short-Stop, and Hi-Amp Surface Mount are popular choices. 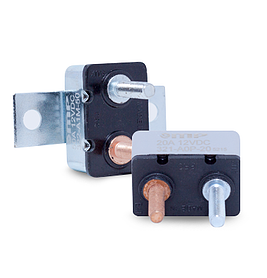 How do you identify the rating of Short-Stop Circuit Breakers? 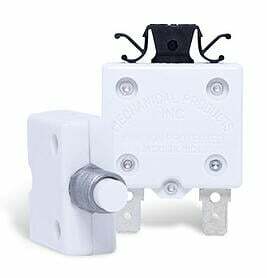 MP recognized that during, or after installation, it is not easy to identify the ampere rating of Short-Stop Circuit Breakers. Today, MP’s Short-Stops are offered color-coded following the same scheme used to identify vehicle fuses. MP’s Series 32 Short-Stop Protective Boot is available to guard against fluid splashes and terminal-to- terminal short circuits. MP surveyed user before designing its Series 17 Hi-Amp. 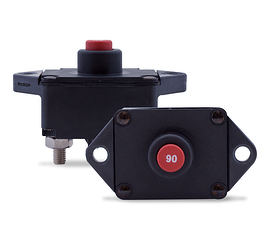 The Series 17 surface mount is offered in ¼” and 3/8” stainless steel terminals with extra- large terminal pads to easily accommodate virtually any required wire termination. Do you have a robust VDC design in a small package? 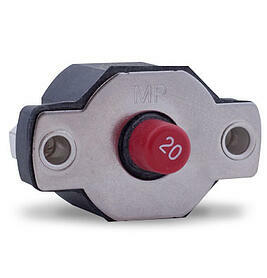 MP’s Series 18 is designed through 60 amps for use in harsh vehicle environments. This weatherproof device is certified to unsurpassed performance under conditions of shock, vibration, salt spray, humidity and short circuit conditions.